* Catch the Playoffs this Friday. for your extra curricular activity. Come see the best of both worlds come together for a night of enlightening edutainment at the best indie film house in New Orleans. The ingredients alone are bananas. The recipe's crazy. The show... will be INSANE! Team S.N.O., New Orleans first Adult SLAM poetry collective has been building a buzz in the streets for the past few months with some of the best Spoken Word artists in the city on their roster. Tygah Woods has been doing the same as a hip hop collective. 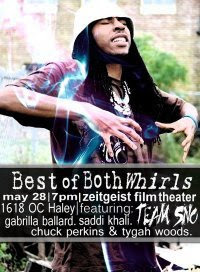 On Thursday May 28, the 2 groups will share the stage for the biggest collaboration between spoken word and hip hop to be seen in New Orleans ever! Not to mention the opening acts tentatively include New Orleans legends, Chuck Perkins (of Voices of the Big Easy), songstress Gabrilla Ballard and HBO Def Poet Saddi Khali. All this done in the name of raising funds to support Team S.N.O. in their second outing to the Southern Fried Regional SLAM competition from June 4-6. Come support the voices of the street. Your backing helps us speak! Doors open for 7. 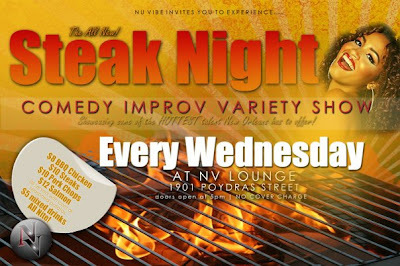 Show starts at 8.
you already know. y'all dont even understand how much im bout this song!! bey better give me what i need!! and i love the end of the video. oww! just a little something to add to your schedule. 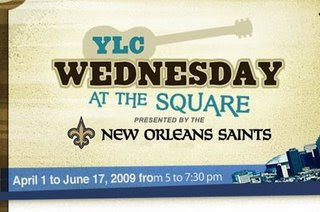 $4 parking is available at 650 Poydras Street after 4pm. 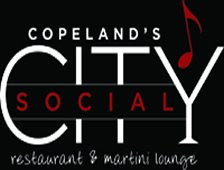 Ladies Drink Free Wednesdays @ Copeland's Social City! Prince vs. Michael Jackson Dance Party @ One Eyed Jacks. ryan leslie plays over "lollipop." sidenote: this video is old, but i cant get enough of it. 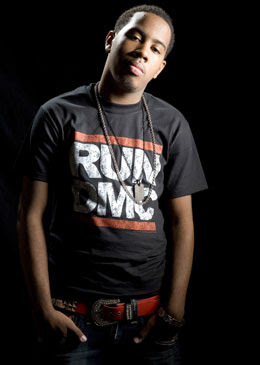 so, ryan leslie appeared live on the invasion radio show with dj green lantern. sir challenged his craft; he played a random song and ryan had to follow it with his piano. ryan leslie is kinda nice wit it. i cant get enough of this video. i was def wishing for a little remake collab w him and wayne. a girl can dream, cant she? pj was bored, so he decided to make a video with his camera. "mountains and molehills" will be on his new album. $5.50 larges -- SO last season. felipe's 2 for 1 margaritas: get into them! i dont even think i can begin to explain what felipe's does to me. i mean, when i tell you felipe's has THE BEST authentic mexican food! it is ridiculous how i find myself in felipe's [literally] every week. it has to be at least 2-3 times a week. i try to put my people on it...some get with it, but then there are those who just dont know good food. i mean, if you have to describe taco bell as real mexican food? GTF!! 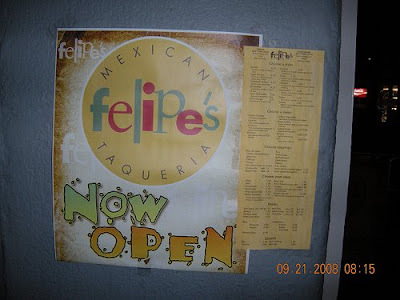 u dont need to step in felipe's AT ALL. lol. no disrespect, booboo, but u cant knock felipe's! lets not talk about how when i USE to work uptown, i STAYED on s. miro. and lets not even get on when jen worked there as bar manager...omg, she had us DONE. remember jakki?? haha. 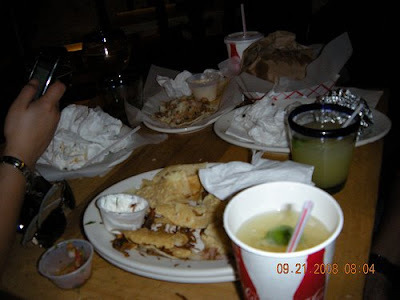 those margaritas are NOT to be played with. THEN, felipe done effed up when he put one RIGHT there on n. peters. now you KNOW im slightly downtown bound. i frequent that location -- a little too much! but anyway, back to the subject at hand: i will most def be at felipe's tonight for 2 for 1 margs. if you havent had a taste of a frozen margarita from felipe's, come out tonight and GET INTO 1! p.s. and it's only $5 -- TOTAL!! man, it's not even about alcohol. felipe's is just THE TRUTH. but if you like to dabble in a little liquor, shoot 2 birds with 1 stone. gabe knows about that felipe's burrito!! 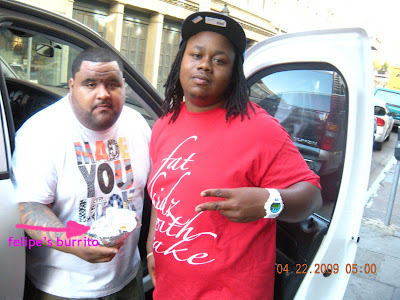 shouts out to fat kidz with cake. 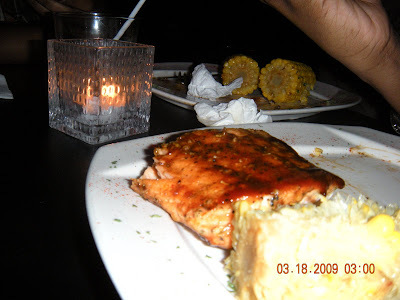 THE best salmon -- point blank. DJ BIG CHEEZ ON THE 1S AND 2S! bbq salmon w corn on the cob. my b. it was just THAT good. 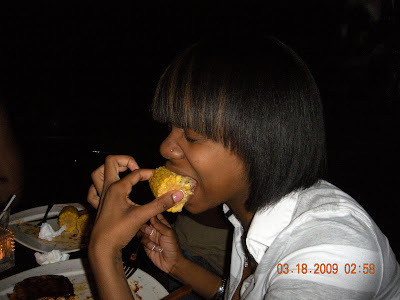 i was stealing corn and ish. sidenote: okay, first off, i HATE how small this pic just had to be...try not to go blind. i hear about this party every single year and have YET to go! im SO there next saturday. Welcome to the palace of Angels and Demons! Once a year planets align and Purgatory opens its gates to let two worlds go to war; angels with wings adorned in white, blue, and gold battle the horned and tailed guardians of the underworld! The fair, heavenly-bodied warriors of good writhe and grind against the red, leather-like skin of the evil army. Angels and demons, good and evil, life and death all collide on the battle ground between HEAVEN & HELL. We call Angels, Demons, Cherubs, Gargoyles, Saints, and Sinners alike to descend upon our hedonistic playground! Mix, mingle, and make merry in HEAVEN with the angelic sounds of the FORCE FEED RADIO symphony. Let their mixes of sound and light fill your eyes, ears, and souls with rapture. If you are daring enough in your quest to venture into Purgatory be careful not to taint your pure soul past the point of no return. As you near the gates of HELL gaze upon the ATONE PAIN TRIBE, the guardians eternally damned to welcome banished souls. JACKAL & HYDE and DJ DIGITAL will corrupt the underworld from the altar of His Darkness! soo, i know i havent posted anything in forever! im sure s.o.l.e. fresh are cool with it; their pics have been up for like the whole month. lol. nah, but ive been busy with a few things. bigger and better things are near! stay tuned, beaches! muah! get familiar -- real familiar. check out s.o.l.e. fresh at drake's concert @ tulane & the knux concert @ the howlin wolf. no matter which one u check out, u'll be in for a HOT show! oww!! joseph simmons, jr aka jojo, the son of rev run, was BUSTED for possession of marihoochie. and get this: he was also booked with resisting arrest. he had THE nerve to put his car in reverse and nearly hit the popo's car. po' thang was probably so nervous! i wonder: if this incident took place during the filming of the show, what would run's words be at the end of EVERYYYY episode. "god is love, rev. run." EVERYONE hangs out @ traffic boutique. back when mickey factz was in nola, traffic's local designers and loyal customers came to meet him and hang out at traffic. and im STILL bout her!! and alright for miss lisa raye's cameo at the end of the vid!